Domainer Elite PRO Review + Bonus - Flipping $9 Domains For $1000+? This is my full review of Domainer Elite PRO by Jamie Lewis. This is Jamie’s flagship product; he’s a successful online marketer who specializes in flipping domains and websites. Domainer Elite PRO offers improvements over the first version of the course, and it reveals his secrets, strategies and techniques for flipping $9 domains for big profits. It’s important to mention that I’ve purchased and used this course myself. This is a 100% honest and informed review. Bonuses: I’ve put together a package of awesome bonuses that I think complement Domainer Elite PRO very well. You’ll get these bonuses absolutely free if you decide to grab Domainer Elite PRO through my link on this page. Be sure to scroll down to the bottom of the review to get a description of each of them! 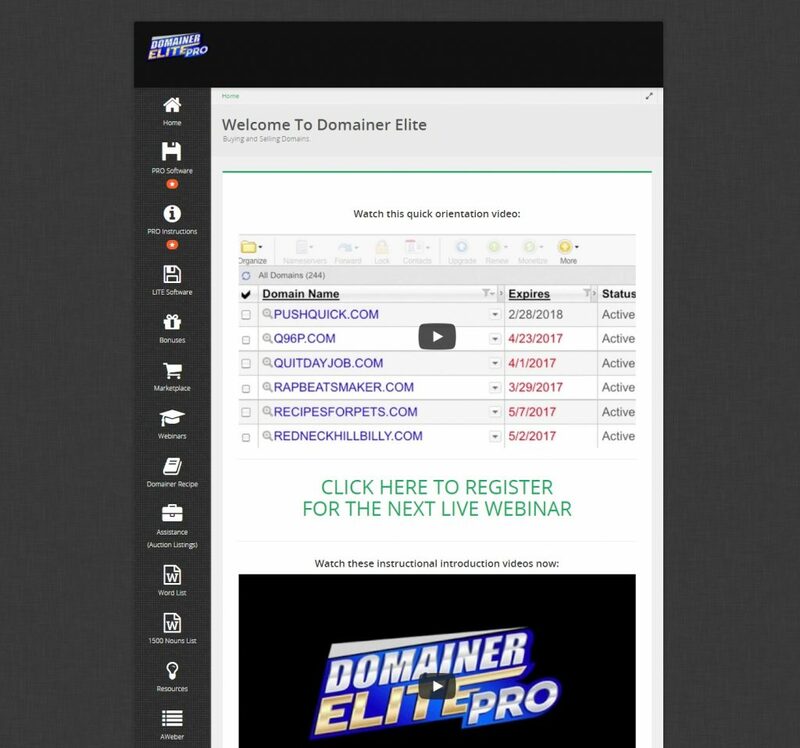 Summary: Domainer Elite PRO is a legit product from a proven expert in the domain flipping industry. It has a good amount of helpful training, valuable custom software designed to help you locate goldmine domains, and access to a thriving marketplace that can get you making sales relatively quickly. If you’re interested in generating a real income flipping domains and websites online, this is quite honestly the course you should get. The underlying method works; you just need to take action and follow through, like everything. You should watch all the videos available to you to minimize your chances of getting stuck in the process. With that said, the organization of the videos in the members area is messy. The front end offer is pricey, and getting good results may not be as easy as you’d think. If you find yourself struggling, I would recommend purchasing access to the webinars or contacting support at the contact link on the website. What is Domainer Elite PRO about? Domainer Elite PRO is a software, instruction, training and resources solution for finding available domain names and flipping them for huge profits. It’s designed to be the “go-to” destination for anyone who wants to make a living mining and flipping such domains. Not only does Domainer Elite teach you the “selling” aspect of domains, but it also covers arguably the most challenging part of the whole process: actually finding good domains that will sell. This is the main reason why the original Domainer Elite, which launched in January of 2016, was such a big success. and much more (more explained below)! What is the structure of Domainer Elite PRO? OTO 1 ($47 one time payment (current special offer) or $97/month) – with this you get unlimited listings in the marketplace, which means you can have as many domains listed on the marketplace as you want at any one time. 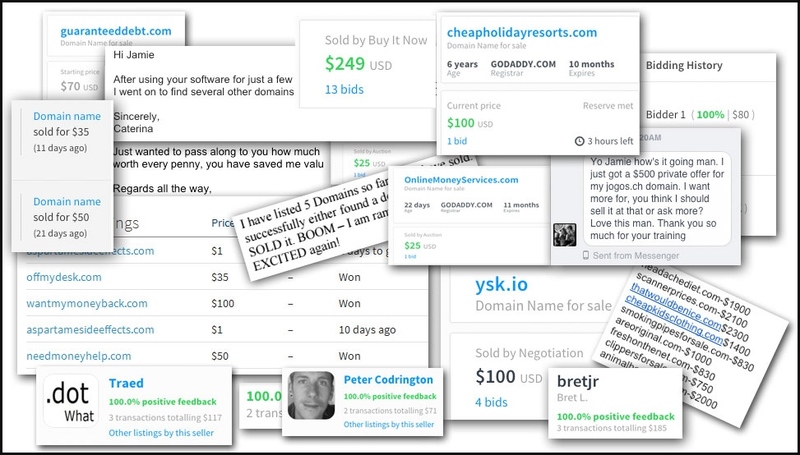 If you plan to use the marketplace to sell a ton of domains that you find using the supplied software, this is a very smart choice. Without this upgrade, you can only have three listings up at any one time – you’re going to need more than that if you plan to take this method seriously. Something to think about. OTO 2 ($147) – with this you get access to two live webinars every week on Tuesday and Wednesday. In these 3-5 hour webinars, Jamie will answer your questions on the spot, as well as the questions of other students also attending the webinar. Aside from questions, Jamie will do exercises, lessons, and effectively impart his domaining knowledge onto you. If you like the idea of scheduled classes, and you think you could really benefit from getting your questions answered by Jamie every week, this is something you should definitely consider. You might think the $147 price tag is too steep, but these webinars will be running twice a week for the foreseeable future, so you’d be getting some serious long-term value. Jamie has been doing these webinars since 2011. OTO 3 ($497) – with this you get to download Jamie’s entire business. Now, I believe Jamie put up the wrong video on the upsell page, so unfortunately I don’t have much information on this one (no, I didn’t buy it either). I encourage you to contact his team here to get more information about it. The price of this might turn you away, but this is actually a really great offer. The reason is that once you put down the money, Jamie and his team will do all the work for you setting up a website that could potentially bring you hundreds of thousands of dollars in revenue. All you’ll need to do is set up traffic campaigns, which Jamie’s assistant will help you with as well. This is as much a fast-track to success as I’ve ever seen. If you’re not in a position to drop this amount of money, that’s fine, but you absolutely should not write this off. The investment will be worth it. I would normally charge for these value-packed bonuses, but you’ll be able to get both of them absolutely free if you grab Domainer Elite PRO through my link. I think it goes without saying that Domainer Elite PRO is not a scam. I think that if you want to learn how to make a living flipping domains and websites online, this product is pretty much a must-get. Jamie is an expert, a proven success in this industry. Unlike other marketers who come out with a new product every two weeks and abandon their old ones, Domainer Elite is Jamie’s baby; it’s his flagship course that he’s been updating and supporting for years and will continue to update and support. You never have to worry about buying an obsolete, irrelevant product when it comes to Domainer Elite. Once you go through all the videos and training Jamie has available, you’ll be well on your way to becoming an expert in domaining. The skills you learn will serve you for the rest of your online career. Just keep in mind that because the front end purchase comes with custom software and access to the marketplace, the price point isn’t the cheapest out there. It doesn’t matter much though, because once you apply yourself, you can make your investment back quickly. I hope you found my review of Domainer Elite PRO informative and helpful. See my summary and rating of the product below. If you have any questions, feedback or comments, feel free to leave them in the comment section! 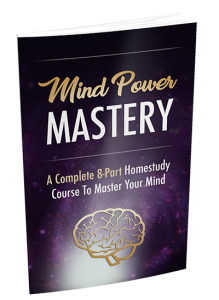 Prev The Awakening Review + Bonus – Over $3000 With Just 134 Leads? 30 days for a refund, huh? I think I’m gonna give this a try. Great review, thanks. You seem authentic unlike most other sites out there reviewing MMO products. Yep, you have 30 days to decide if it’s for you or not. Thanks for the kind words, and good luck!